Hey guys, since it is Christmas season I am going to share something related to Christmas + Social Media. I am a free thinker and that give me a lot of opportunity to get to know more about other religions. Personally think that the story of this nativity was brought out and shared in a unique way and decided to share it. 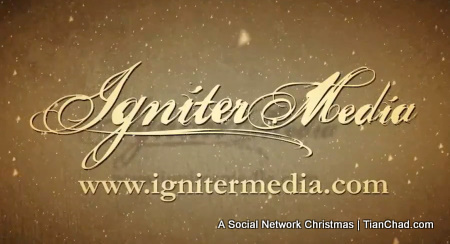 This Youtube video is an artistic take on how the story of the nativity might have read had a Facebook social network existed at the time of Jesus's birth. Follow this historical period as it unfolds as a digital narrative. This vignette is great for highlighting the truths and circumstances of our Savior's birth in a fresh, unique way. Now I am thinking what else story will presented using Social Media platform. Maybe A life on Facebook? My facebook life started when I was 20++ How bout u? 13?